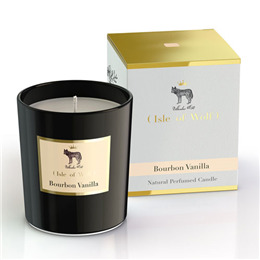 Indulge yourself by letting this rich bourbon vanilla fragrance wrap you up in an alluring and sensual adventure. It unfolds with a note of lemon & orange, followed by sweet vanilla heart and heliotrope flowers, finishing with spicy base accords. Below are reviews of Isle of Wolf Natural Perfumed Candle - Bourbon Vanilla by bodykind customers. If you have tried this product we'd love to hear what you think so please leave a review.